Do you have a fire pit at home? 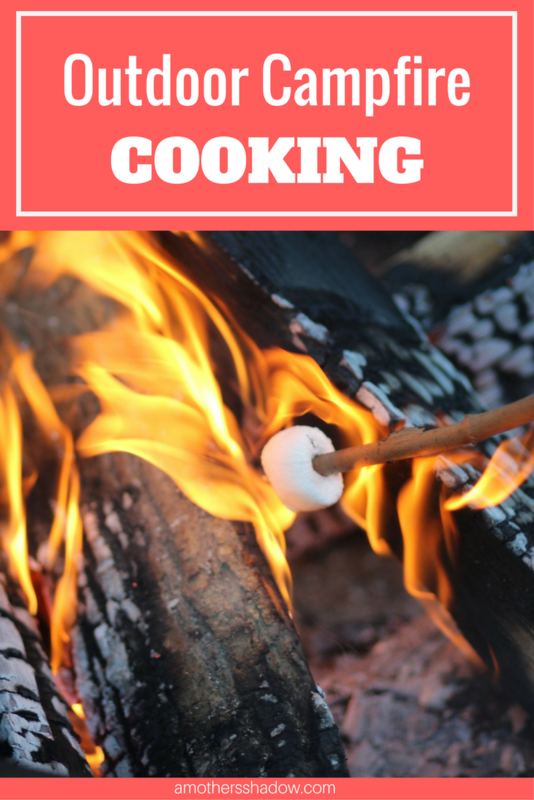 Do you like to cook over an open fire when you go camping? Or how about a day excursion with family or friends? Perhaps you’ve never cooked over an open flame before and you’re a little nervous about it? THIS is a nice resource that tells you how to safely start a campfire for cooking, and then how to care for it afterwards. 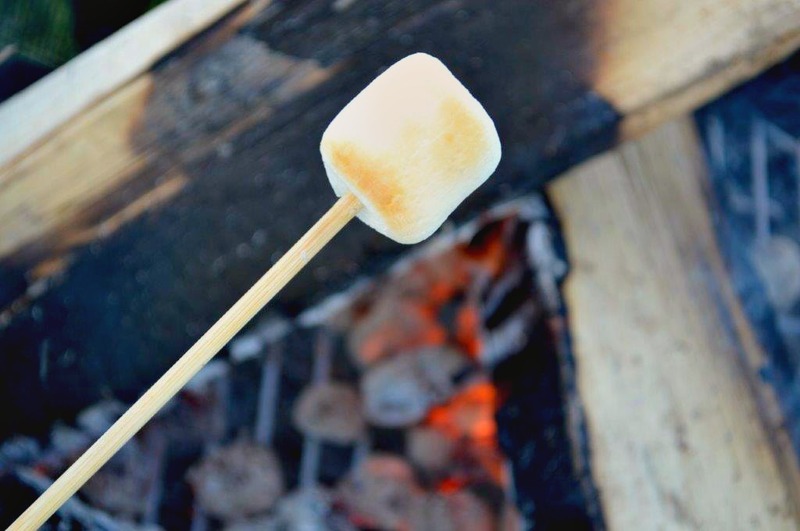 Also, this article How to Build a Campfire: Are You Doing It Correctly really is a terrific teaching on campfires 101 – as well as everything campfires. Make sure to check out their site HERE because they have TONS of great information on everything you need to know about the outdoors so you are safe and having FUN! 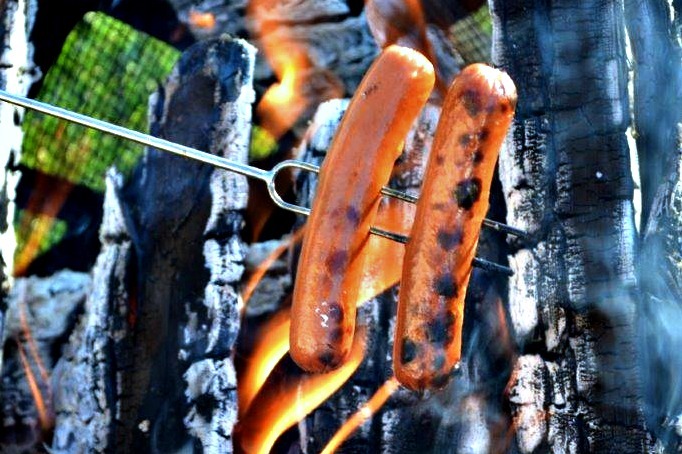 Once your fire is set, what are you going to make besides hot dogs? A roasted hot dog is great, but there are other TASTY choices. I like trying FUN foods, I mean who doesn’t? That’s why the Food Truck craze is so popular, right? You can have a little of this and a little of that if you want to. Well get ready! I have something like the food truck line up, so to speak, for you! Cool gadgets to make YUMMY food for ALL ages and I’m giving you LOTS of options and ideas on how to use these fun tools too! So grab the family, friends, and let’s make some great memories and scrumptious food too. I said I had some really unique gadgets to try over the campfire. Here’s the list and below are pictures with ideas, tips, tricks and even some of my very own recipes for you to enjoy. 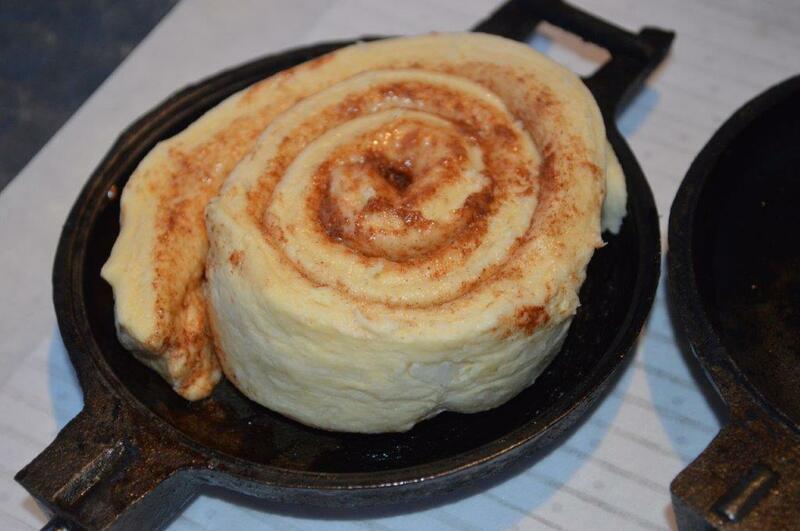 Have you ever tried your hand at a Pie Iron? Or how about a Mini Cobbler or Woof Em Stick? Or these Telescoping Roasting Sticks? Or Extra Long Heavy Duty Bamboo Sticks for a crowd or because they are disposable? My daughter and I had really enjoyed experimenting and taste testing these recipes. Seriously, it’s fun and all to cook over a campfire, but if the food isn’t delicious In can only hope for good campfire stories. But with these ideas and recipes, I don’t think you’ll be disappointed at all, because we sure enjoyed them and we can’t wait to make them again! 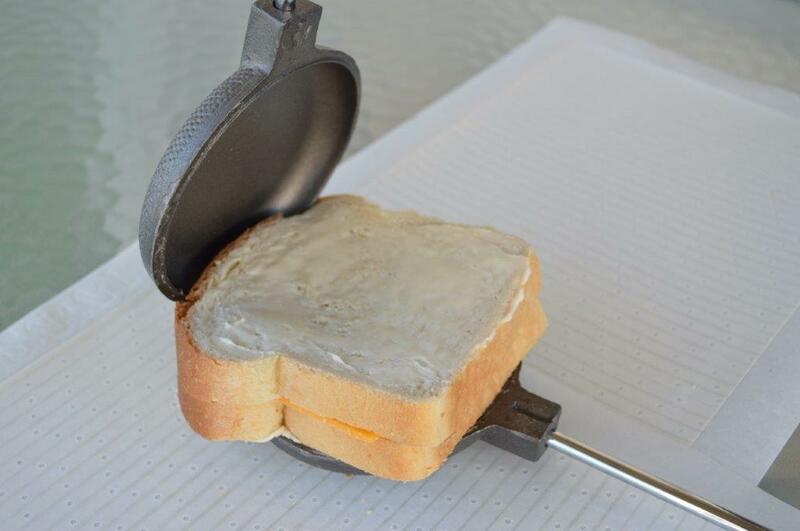 This gadget comes in round like this, or square. I thought the round looked unique so that’s the one I ordered. 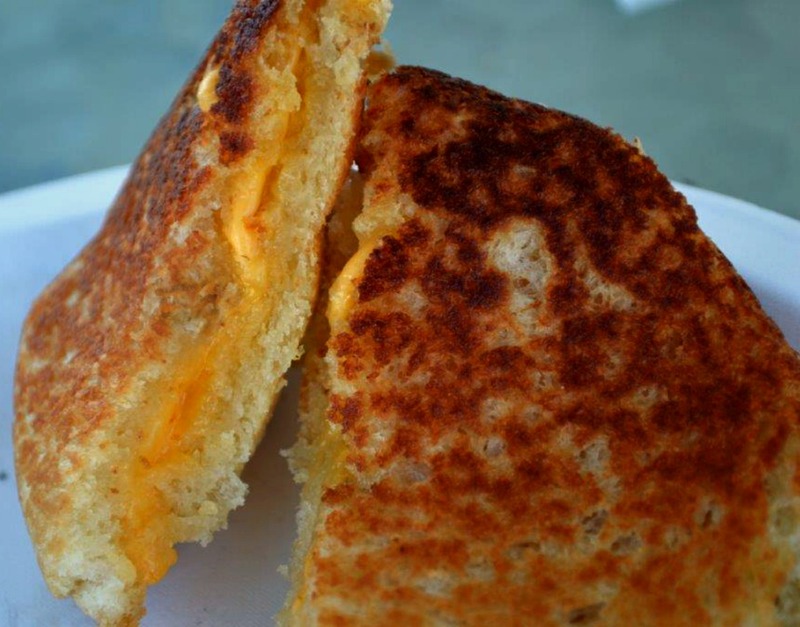 We first started out with a grilled cheese sandwich. Close it down really tight. 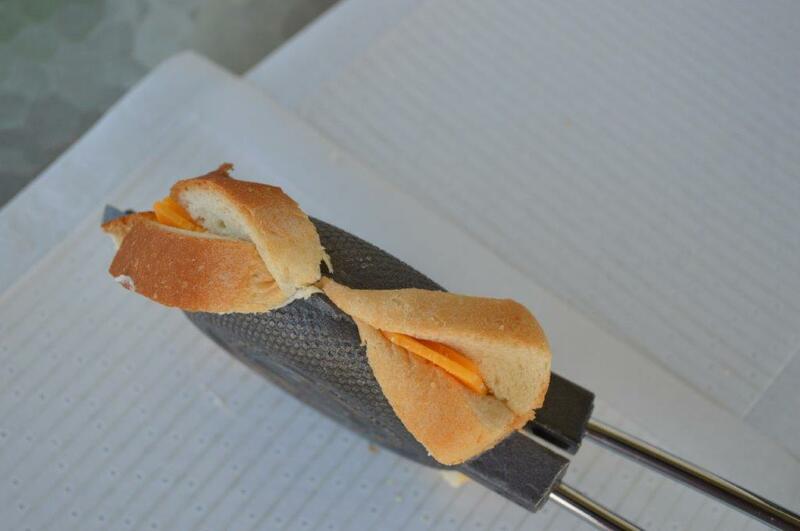 It’s best to take off the outer edged before cooking. Otherwise the excess will get that smoke into your food as it burns off. 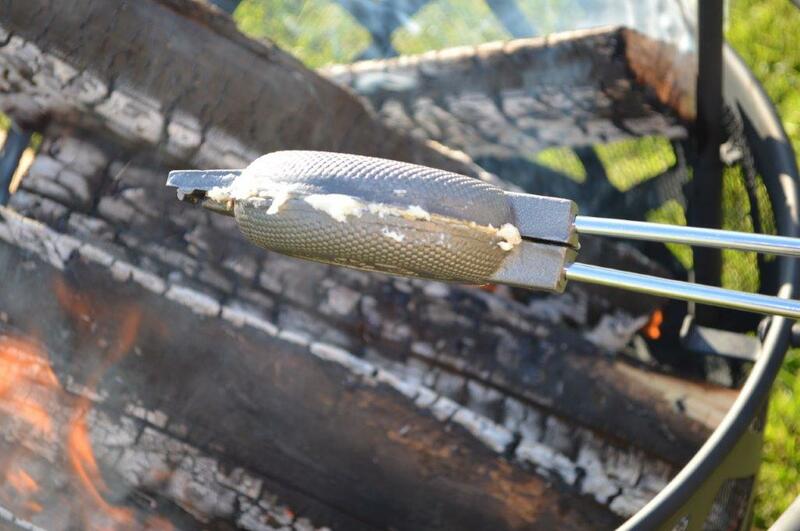 Get the Pie Iron into the hot coals; remember you are cooking with a cast iron, so it takes a bit of heating up. Open the Pie Iron to check it once in a while. When it’s done – look at how lip smacking this sandwich is! 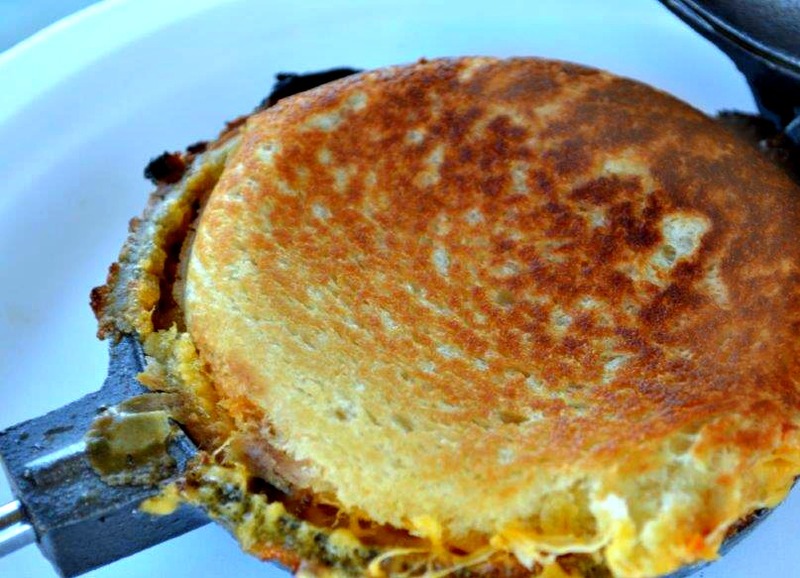 All that ooey gooey melted cheese and crispy outer layer did not disappoint at all! We were very surprised at the delish outcome of this amazing sandwich. 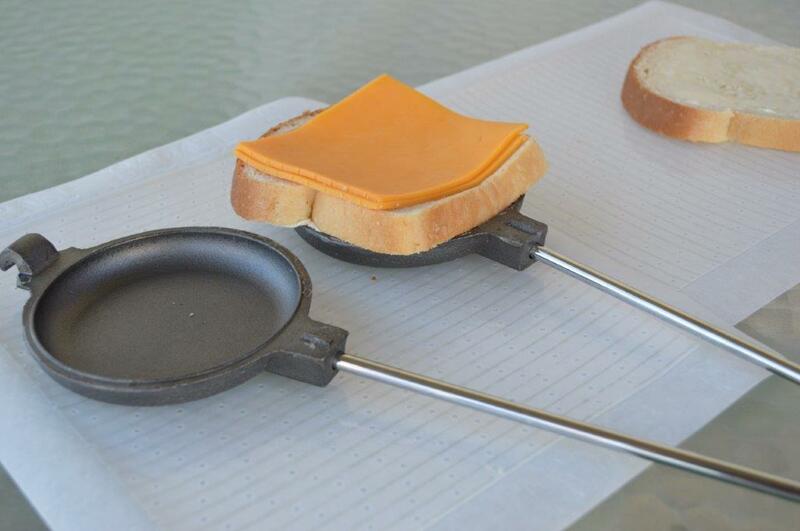 You could add meat such as ham, turkey, beef, for make any type of ‘toasted sandwich’ with this awesome Pie Iron. 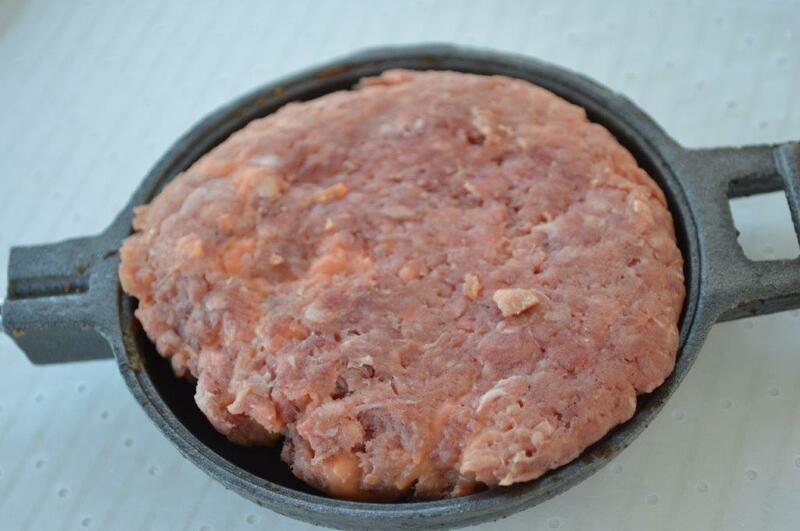 I just had to give stuffed hamburgers a try in the Pie Iron. You can use plain hamburger, turkey or pork; just make sure to coat the pie iron if using turkey or pork since the cast iron will need a bit of grease to prevent sticking. Cook over nicely hot coals, turning the Pie Iron so your sandwich cooks evenly. 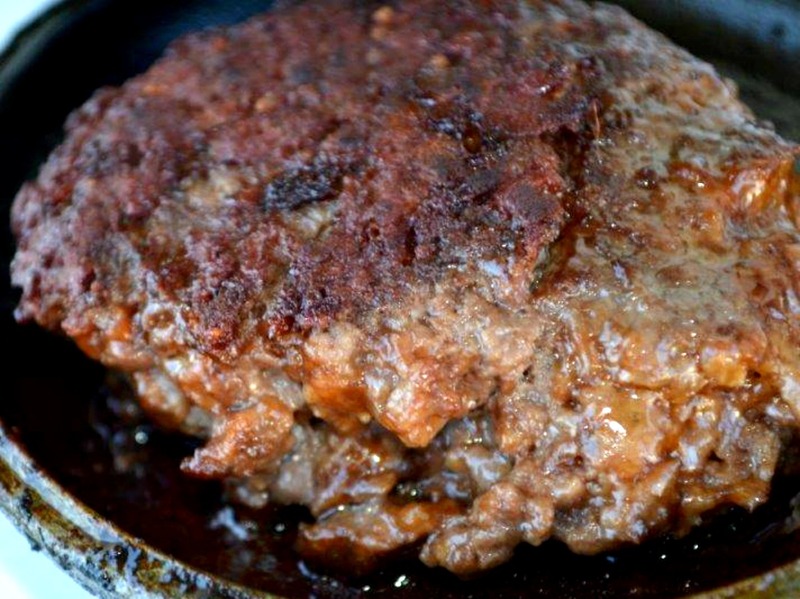 Our roasted garlic and cheese hamburger patty was AWESOME! I’m not kidding, it was ssooo good being cooked in the Pie Iron. 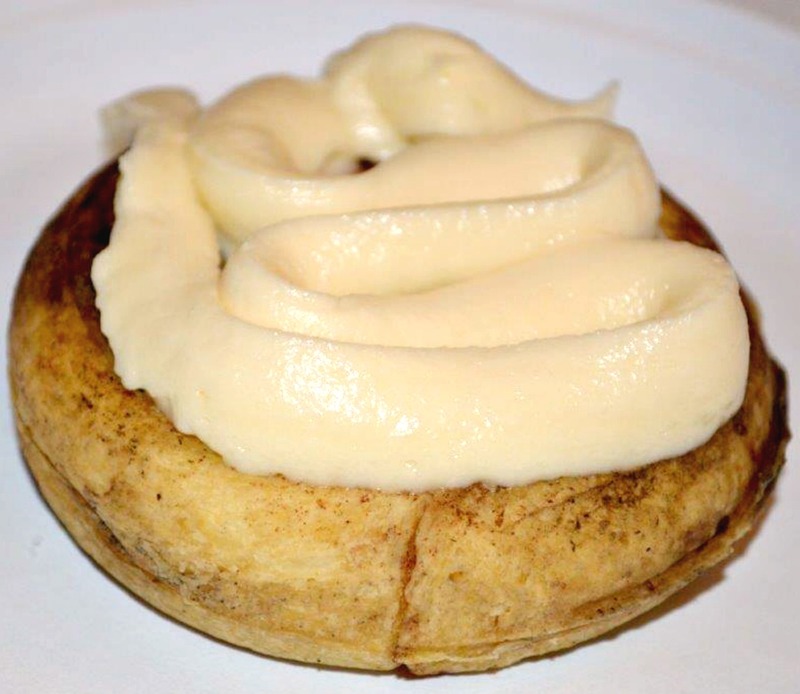 For a sweet treat, we tried prepared cinnamon rolls. It was so easy to put the dough in a coated Pie Iron. Cook and check frequently for doneness. Top with the provided frosting and you are in for an easy dessert. 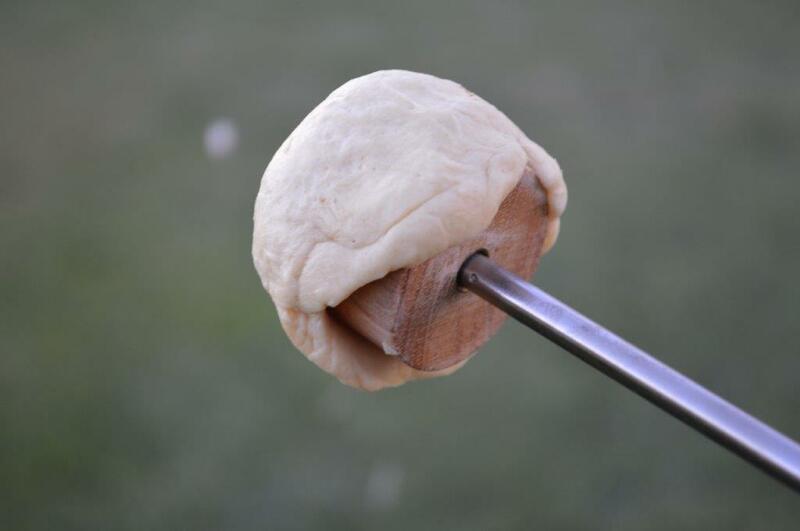 Place canned pizza dough or crescent dough cut to the shape of the Pie Iron. Spoon in a little pizza sauce, a few toppings, some cheese, top with dough and cook over the fire for individual pizzas. Place a trimmed thick style tortilla in, then a taco filling, cheese, another trimmed tortilla and cook. A taco, or do this with a re-fried bean mixture for a burrito. Cut prepared pie dough to fit the round or square Pie Iron and put in prepared pie filling of your choice. 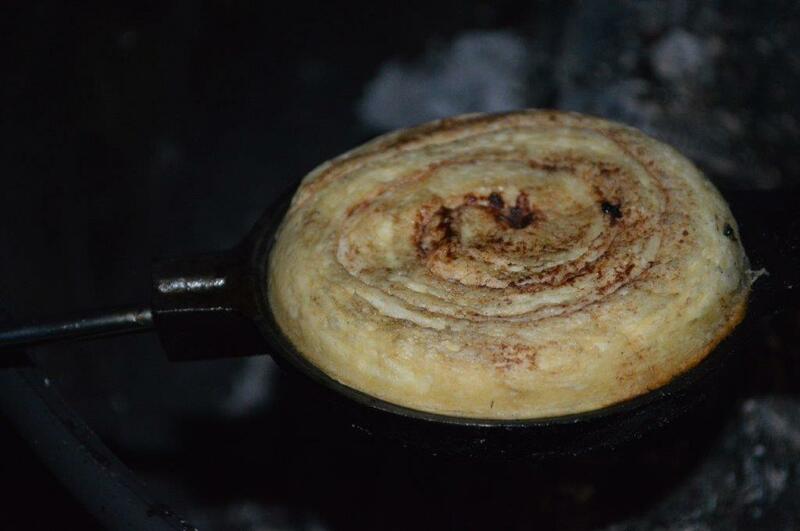 Top with another piece of pie dough and cook over the fire for a mini pie. Mini Cobbler or Woof Em Stick and it was pretty cool! 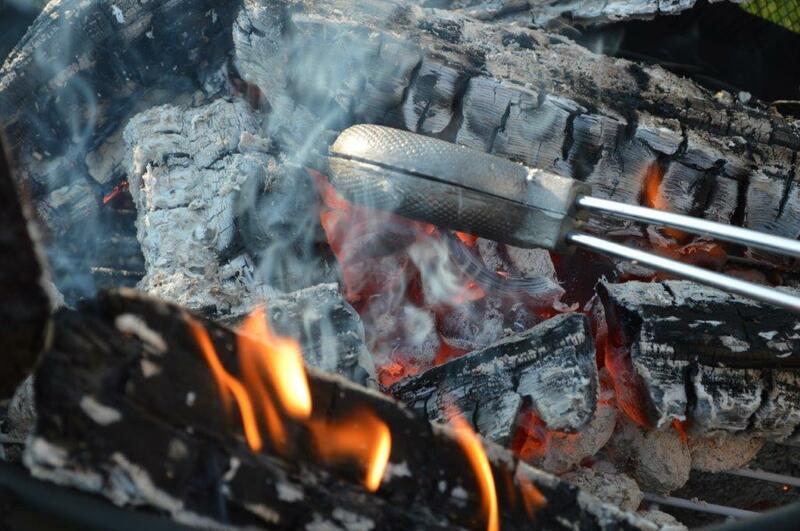 Then cook the Mini Cobbler or Woof Em Stick low and slow over the camp fire to get it baked all the way through. 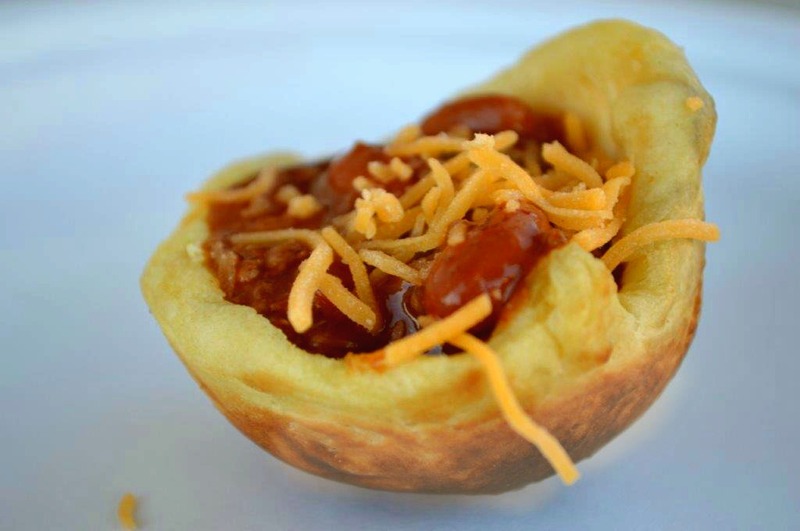 When it’s completely cooked through, pop it off fill like this with chili and top with cheese – then woof ’em down – stuff it in your mouth basically, and boy is it terrific! 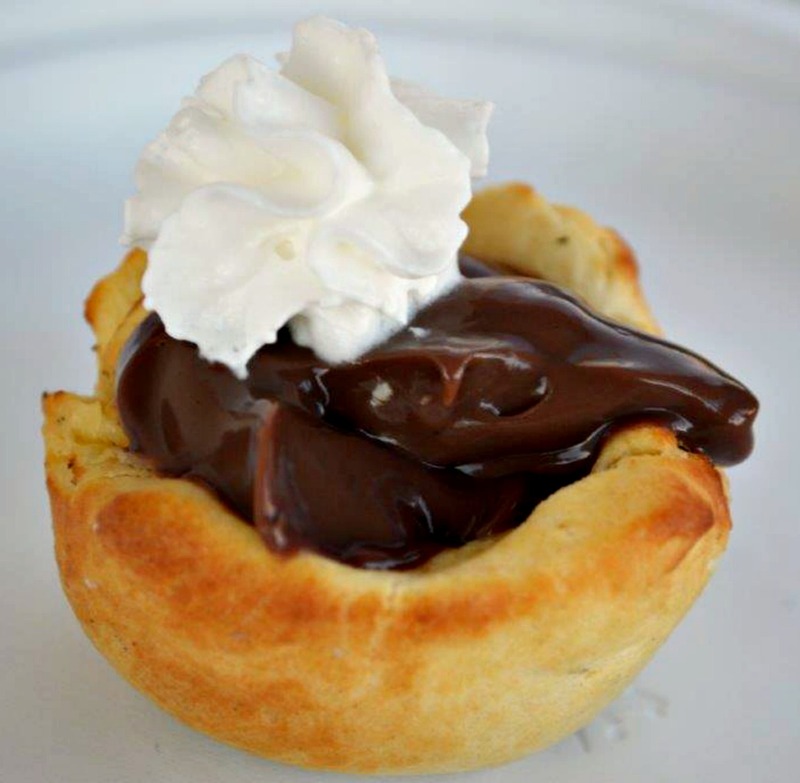 After using the Mini Cobbler or Woof Em Stick to make your shell, fill with pudding and top with whipped cream for a mini pie! 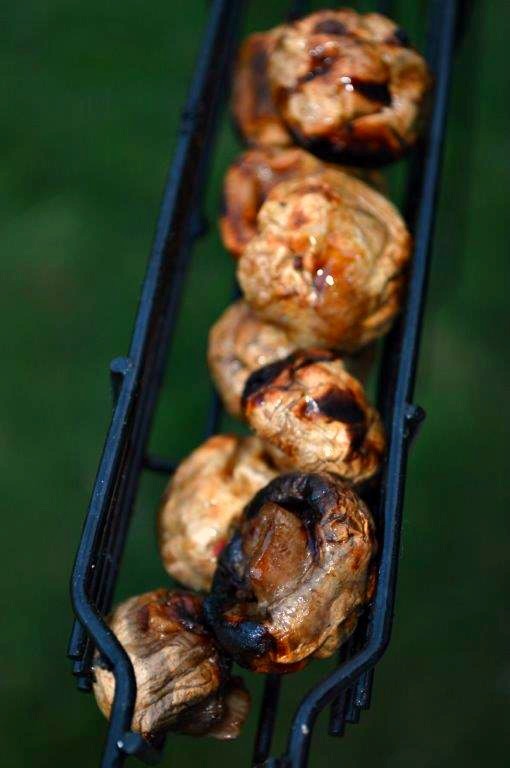 These Telescoping Skewers are GREAT for roasting! 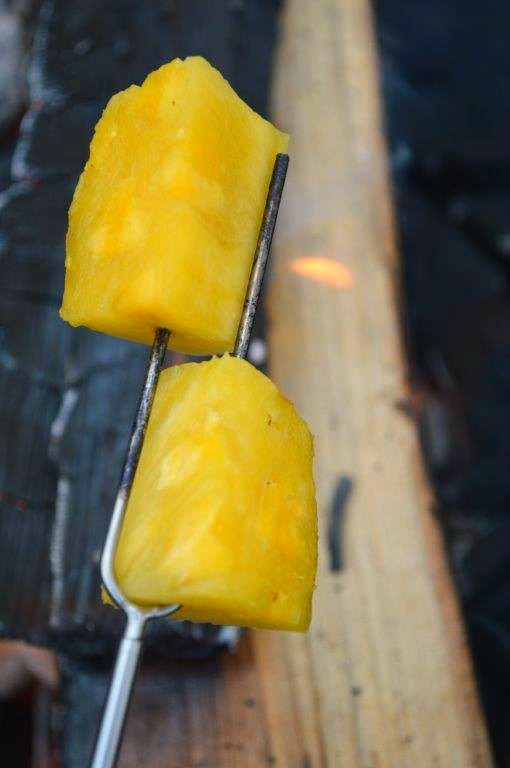 A huge advantage is that they don’t fall off because they are held by TWO prongs, so no crying when food is lost in the fire. 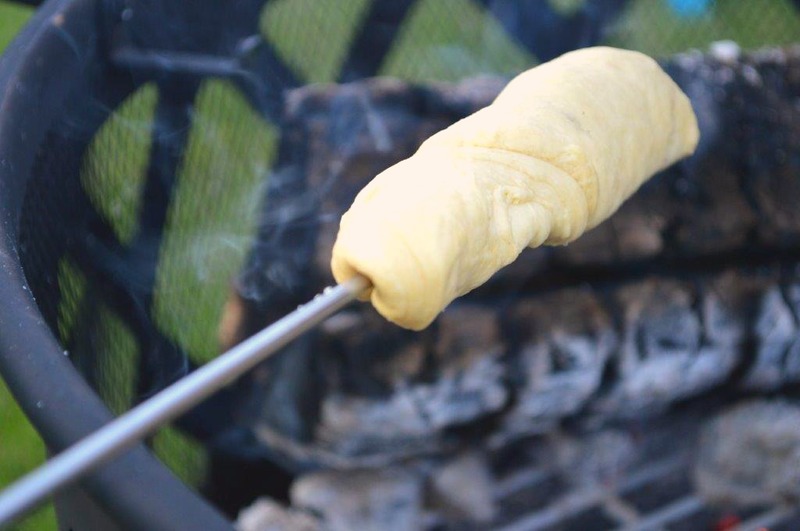 Rotate cooking over the coals until your hot dog wrapped in a biscuit is all nicely golden brown – DELISH! 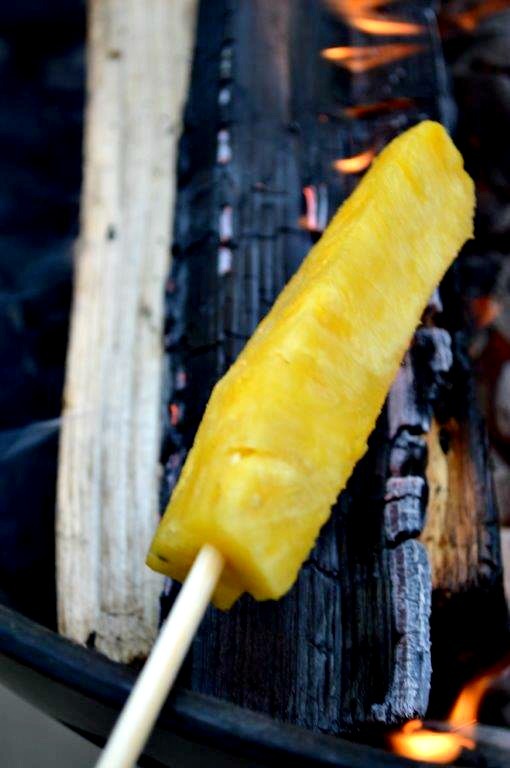 Caramelizing it and you’ve got paradise on your taste buds! 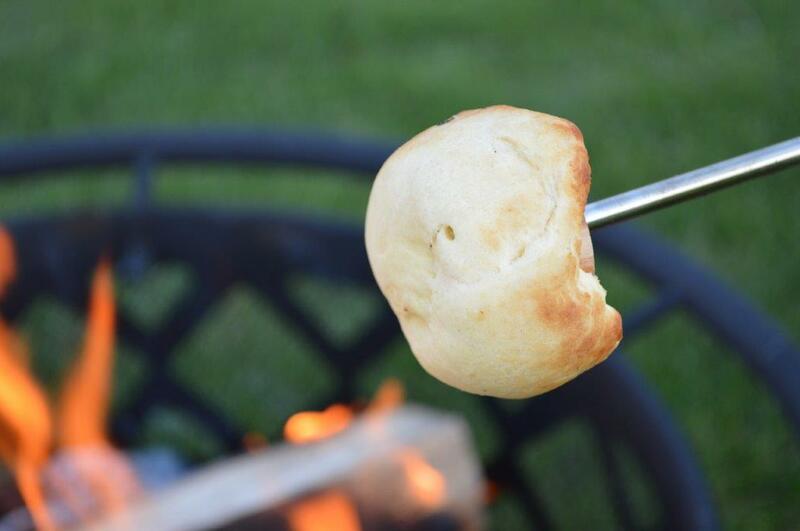 You can’t roast on the open fire and not have a marshmallow. 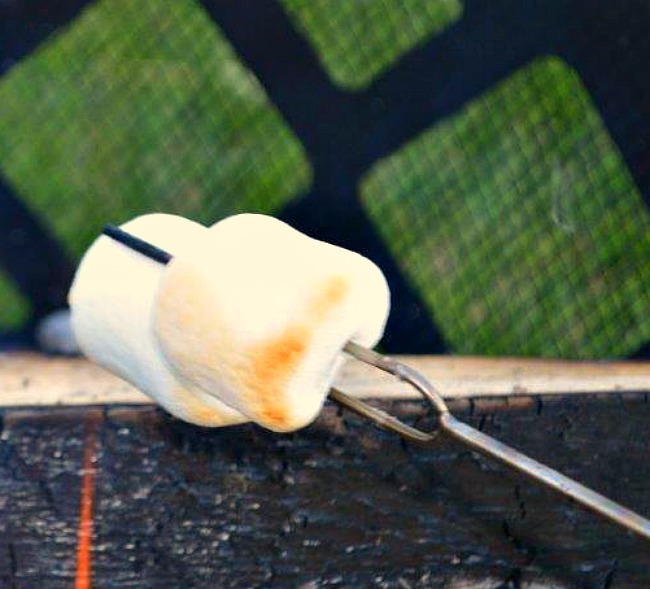 These Skewers hold the marshmallow secure and even more than one! While searching for ideas to bring to YOU I found these really awesome extra long environmentally safe, 100% biodegradable 36″ Bamboo Roasting Sticks! These Roasting Sticks are really sturdy and durable – just don’t get the flame right on them to burn up the bamboo, I mean they are wood, right. And the length of these Roasting Sticks is really nice because everyone is able to be back a very safe distance from the fire, but still cook their food. I liked the fact that there are so many in the package for a large group, since there usually a bunch. They are disposable; HOWEVER, you can easily cut off the end of the Roasting Stick at an angle and you will have plenty to reuse it again! 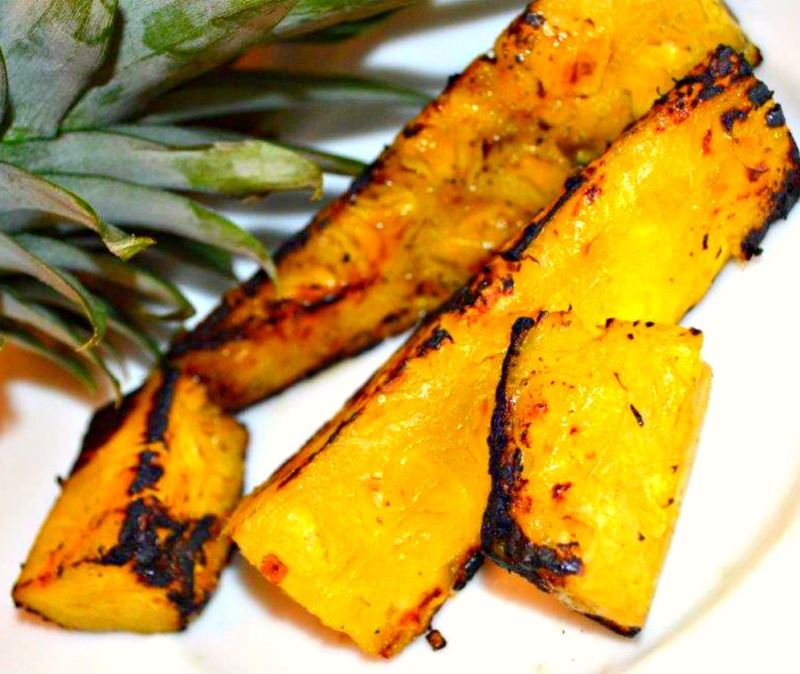 Ooohh so many things to try with these Roasting Sticks, of course we had to give Kabobs a whirl. If you don’t have time to make your own, stop by your local meat counter and pick up some there. Simply re-thread from the wood skewers they have and you’re all set! 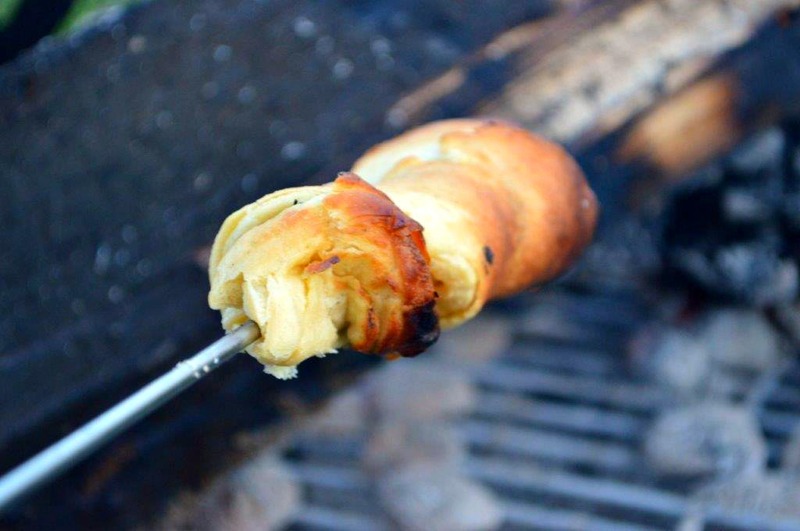 You can’t leave out a roasted marshmallow, and I really liked how long this Roasting Stick is, especially for the kiddos or when the wind shifts to keep the smoke out of your face and eyes. Have you ever tried these really neat baskets? 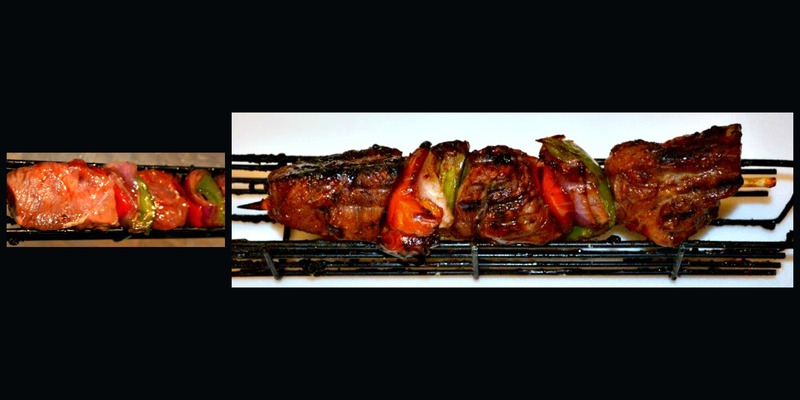 I like them because the vegetables all stay together, the meat doesn’t slip and turn on the metal rod of a thin kabob stick and it’s so versatile! 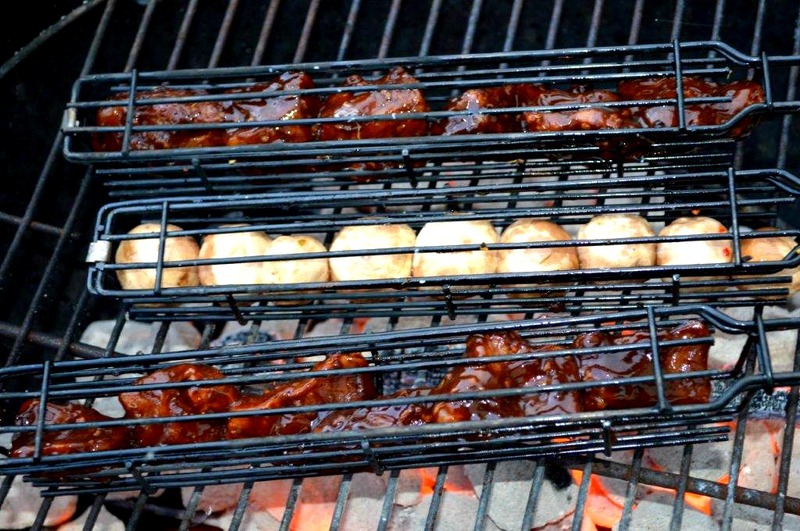 Just look at the possibilities of cooking with these Kabob Baskets. * One tip: you will need to adjust slightly if you want to cover your food with the lid of the BBQ grill when cooking, but I was able to adjust do just fine. 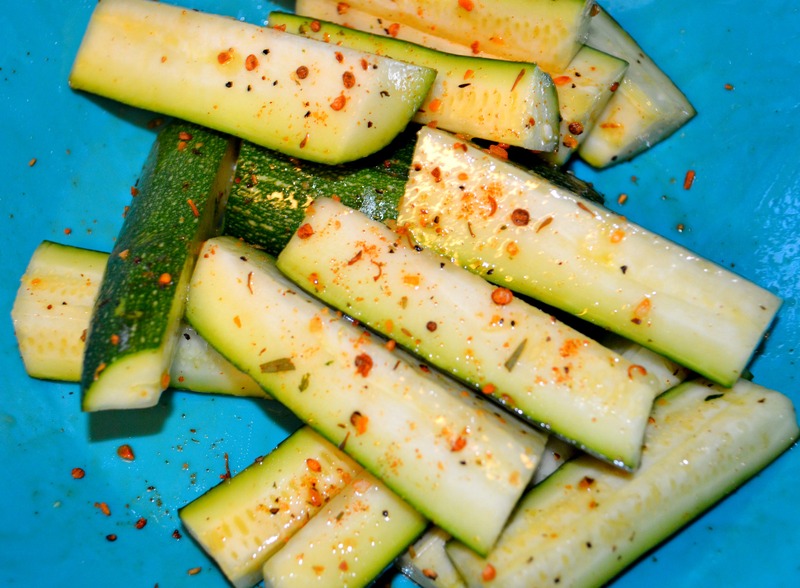 To make these zucchini wedges I simply cut them into wedges and put them into a bowl. Covered them generously with oil, your preference as to what type. Sprinkled with seasoning and gave them a toss. Grilled them up on the Kabob Baskets until they were cooked a little al dente and boy were they good!!! 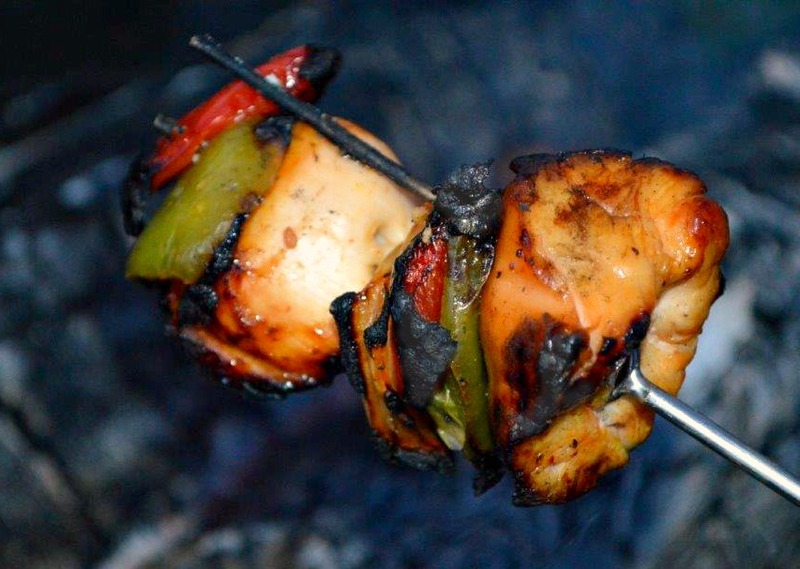 Ohh, I need to make this again soon, the taste is out of this world when cooked on the grill! 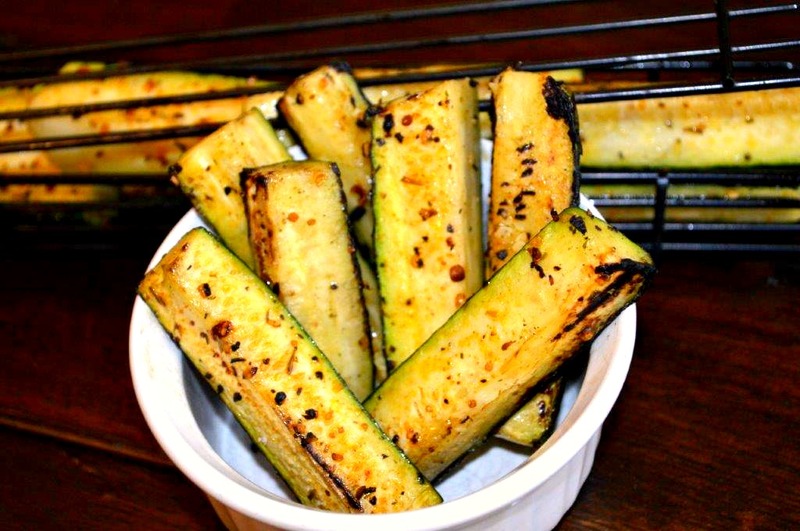 I used the Quick & Easy Grilling Veggie recipe. 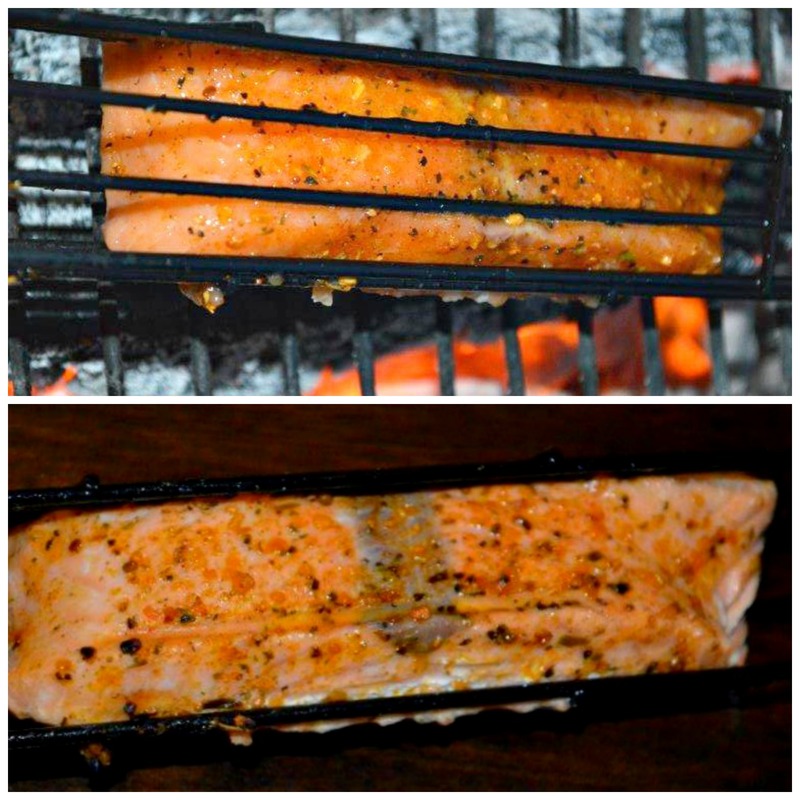 Now for a real treat, I picked up some salmon pieces that fit perfectly in the Kabob Baskets and are usually on sale and extremely affordable. Use plenty of oil since fish is so lean and it will stick like crazy in the basket if you don’t. 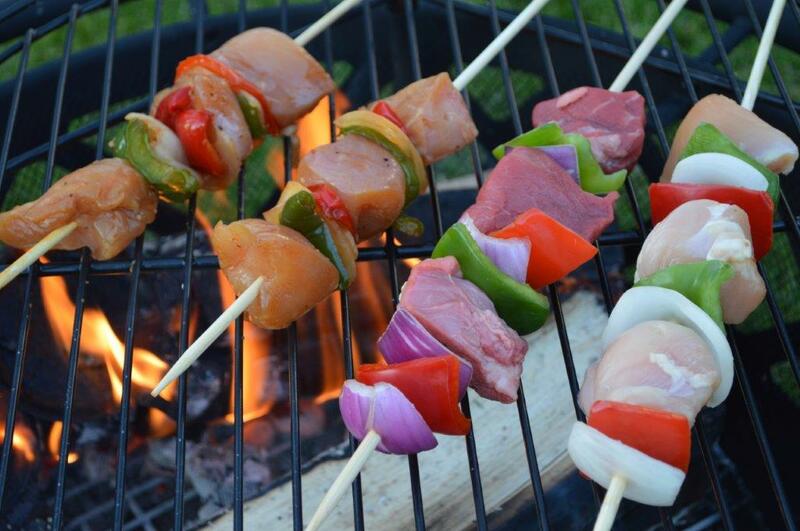 Season with your favorite seasoning and grill in the Kabob Basket. It was gourmet-down-town-pay a ton of money fabulous but on a dime! Cod works really well with Kabob Basket in the too. Lastly, just to show you how easy-peasy, I picked up a premade kabob at the butcher side of the grocery store to grill in the Kabob Basket and look at how mouth watering it came out! 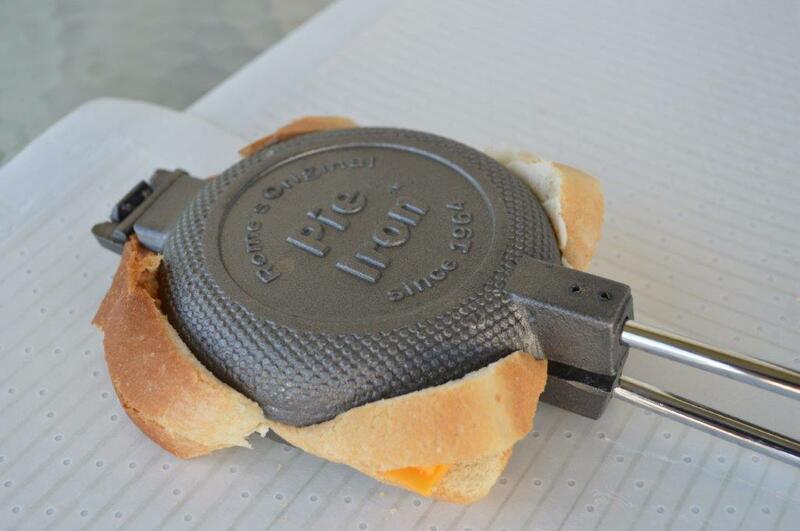 Now let your imagination go and have a great time trying these GREAT BBQ TOOLS! or ALL of them you can’t go wrong!